Sun and clouds mixed. Slight chance of a rain shower. High 72F. Winds W at 5 to 10 mph..
Showers and thundershowers this evening will give way to steady rain overnight. Low 48F. Winds NNW at 5 to 10 mph. Chance of rain 90%. 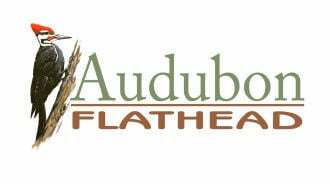 Flathead Audubon will host a field trip to the West Valley Ponds in Kalispell on, Saturday, April 20, from 9 a.m. to noon. The group will visit several ponds in the West Valley area including the new public bird viewing area. Expect to see lots of migrating waterfowl and look for shorebirds, raptors and early passerines. Roads will be both paved and gravel. This trip will be primarily driving. For details and to sign-up, contact Cory Davis at 406-471-3314 or piranga99@gmail.com. Trip is limited to 25 participants and is free and open to the public. For more information, visit the Flathead Audubon website: flatheadaudubon.org.